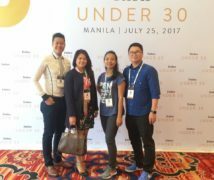 Home / Opinions / What can young Cambodians do for Cambodia? What can young Cambodians do for Cambodia? 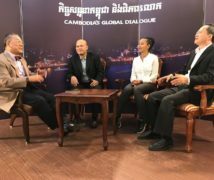 Young people under the age of 30 make up 70 percent of Cambodia’s population of more than 14 million, according to a survey conducted by the Human Rights Center at the University of California at Berkeley. Today’s trend towards issues affecting young people is the result of the baby boom that followed in the wake of civil wars that consumed Cambodian society in the 1970s and in the decade that followed. But the question remains: How much have young Cambodians benefited from the ensuing changes to their still-impoverished nation? Looking at recent unemployment figures might seem heartening, but everyone knows that these figures don’t represent the reality facing most of the Kingdom’s youth. Outside of the bustling capital, you will notice that when it comes to official unemployment reports, what you see is not what you get. According to the study “Situation Analysis of Youth in Cambodia” released by the United Nations in 2009, much of the nearly 35 percent of the country’s population between the ages of 10 and 23 are migrating to urban areas and crossing borders legally or illegally. They are looking for a brighter future away from the destitution of rural Cambodia. Yet what they find is insecure employment at best and oftentimes exploitation and slavery. The truth that gross unemployment figures fail to expose is that there is a critical shortage of job opportunities for Cambodian youth in the provinces who, as they take on responsibility of caring for their families, are being forced into a fierce competition for whatever work is available. To compound the problem, Cambodia’s rising youth workforce is the least-educated in the region, making their struggle against inflation even more difficult as better-skilled foreign workers are given preference for job openings all along the economic ladder. The economic situation for Phnom Penh’s 2 million residents is so good that it can mask these alarming trends elsewhere in the country, but look beyond the development of the capital city and you can see that, although more provincial families are sending their kids to school, it is still an all-out struggle to keep kids in the classroom until they finish 9th grade, often counted as “completing high school” in the countryside, where expectations of students are only slightly higher than the dirt floors under their desks. While moving about rural Cambodia, I have seen too many youth hanging out in gangs and resorting to violence to get their way. But I don’t see cruelty inside of them; I see wasted talent. I see minds that are waiting to be cultivated so they can help in the betterment of their country and I ask myself: What opportunities should they be given to allow them to show their full potential as students and workers? I want to know what paths are available for them to become the productive youth that are envisioned in the Millennium Development Goals, the optimistic plan for improving developing countries like Cambodia presented to the UN 15 years ago. For those who care, reports of the alarming poverty in Cambodia are unavoidable. At least 30 percent of Cambodians fall below the poverty line, meaning they are unable to meet even the most basic needs for stable human existence. It makes you wonder if things can really be turned around by an idea, even if it is produced by some of the world’s best thinkers. I can still remember Sambo Manara, the professor of my freshman-year history class, jumping to his feet during a lecture and urging every young person capable of working to create their own source of income. According to him, the poorest of the poor in Cambodia “are not farmers, but students who sit idle in class without doing anything significant”. I agreed completely, and went out and earned my first US$70 as an employee. I wondered how much money the 70 percent of us above the poverty line could save over a full year if we earn only $2 a day. A childish thought perhaps, since there is a job market for a reason, but it seemed to illustrate the impact we could have if we pooled our resources. It still comes as a shock to me that many Cambodian students choose to study management, hoping to become a manager or somebody important, while programs teaching critical skills such as engineering and technology are still in low demand. It is no wonder that investors often turn away from the domestic labour force to fill highly skilled positions. In many sectors, there are no experts here. What’s worse is that most of the 300,000 young Cambodian graduates who are entering the workforce every year decided to treat school like a challenge instead of an opportunity. They tuned out in the classroom and cheated on tests, and in the end their parents paid for useless degrees. Fortunately, youth-related organisations and associations have been sprouting up to teach young people the value of socially minded work and provide trainings that give them the skills and experience that my wise history professor called “invisible money good in our economy”. A project in Kampong Thom comes to mind, where UNICEF worked with local governments to transform communities of failing youth into socially active leaders with love for their country and the skills to start socially minded small businesses to improve the lives of their neighbors. The project has expanded to 12 communes, and if it is successful there the project will likely be expanded throughout Cambodia. But the program is time-consuming and, at best, will only reach a small portion of the youth who need this kind of outreach. But it is not up to development organisations to fill the outstretched hands of Cambodia’s vulnerable people. Cambodian youth need to pull pack their hands and put them to work. If 30 percent of Cambodians are making less than $2 a day, the 70 percent of us who are youth can surely make an extra dollar a day to lift everyone above poverty. It is also high time that youth left their hometown to find how different life is from the books they read. The true heroes among us are the blue-collar workers who endure backbreaking labor every day rather than waiting for humanitarian organisations to help them. The tasks facing young Cambodians might seem overwhelming. It won’t be easy to give everyone access to a basic education, good health, proper employment and a voice in our society, but we must not aim for anything less. Cambodians younger than 30 account for a third of the work force today and will soon make up a majority. For those of us lucky enough to go to university and understand the importance of personal freedoms and human rights, it is our calling to make real change in Cambodia. Many of our brothers and sisters are still stuck in the same mess our parents struggled to escape from nearly 40 years ago. It is urgent that we find a way to pull them out. This is a world wide problem. A major barrier is that most technical fields need some maths, and very often students get stuck when they have to master basic algebra and trigonometry. The person who finds a way to teach these so that three quarters of those at school can really understand them will be doing something worth while. very interesting article…. love it!! Hi Reaksmey: please read the email below I got from an American researcher based in Cambodia. About your question – different agencies have different ways of measuring poverty (as defined by the percentage of population earning less than a certain amount per day), but I don’t think that quote is accurate. The latest that I’ve heard is that about 35% of the population lives on less than one dollar per day – the 50 cents figure is quite old, I believe. But these sources aren’t cited and the data could be from the 2000 Census which would make it out of date. The Ministry of Planning has a Census update document on their website, it might be worth checking that out. Otherwise, the statistic stating that a third of the population lives on less and 1 US dollar per day should be used, and doing so would still take into account the UN statement above (“a third of Cambodians still live below then national poverty line of 2,473 Riel or US$0.61). Nice article, thanks for sharing your thoughts Kounila. My comment is not really about the article but about the response to the article. Every time I read an article like this about Cambodia that asks questions about the state of society the answers almost always blame someone or something. Cambodia suffers from a blame culture, where everything has to be someone’s fault. Instead of asking whose fault it is and complaining or giving grandiose high level ideas that we are powerless to implement as an individual, we need to be asking ourselves what we can do to improve the things around us that we do have the power to change. If you’re not part of the solution, then you are part of the problem. If you complain about the government not investing enough in education or healthcare and you paid less than 10% of your earnings in income tax in the last year, then you are part of the problem. If you complain about corruption but you paid a bribe in the last year, then you are part of the problem. If you complain about skills in the workforce, and you haven’t shared your skills with one other person in the last year, then you are part of the problem. If you complain about unemployment but have never tried to start a business that can provide employment, then you are part of the problem.